If your speedometer needle is steady (you have a new cable or your cable is properly lubed), then I believe the mostly likely caused is by a faulty cruise amplifier. 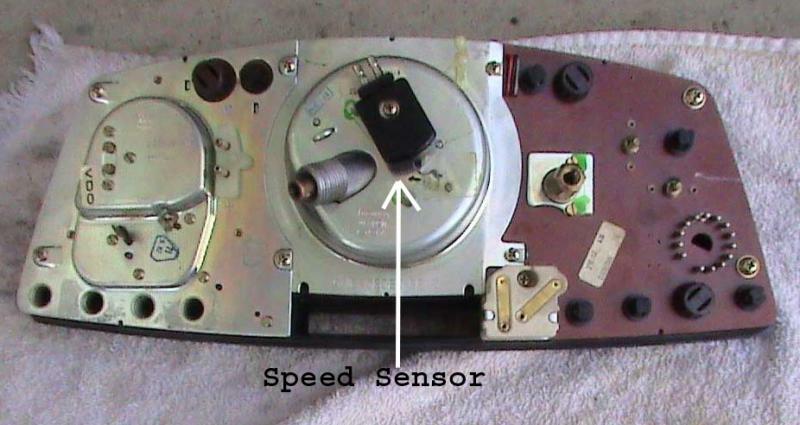 Or the cruise actuator is worn at a certain speed and it is searching/hunting for a better contact point. As shown in this pic. Here is a shot of the speed sensor, the black box in the back of the cluster. I don't think you need a whole new cluster. But there is a possibility the speed sensor could go bad. Here are some helpful links in Dx it. Thanks for the info, When my cruise is engaged, it is quite firm and very steady in its acceleration. I can engage @ 40 mph and it will accel, right up and thru 75mph. No hunting, hesitation, or anything other than a steady acceleration. My speedo needle is very steady as well. I know many times the amp is the culprit. Maybe I should scoop the amp, and instrument cluster. I should p/u the tach amp as well. 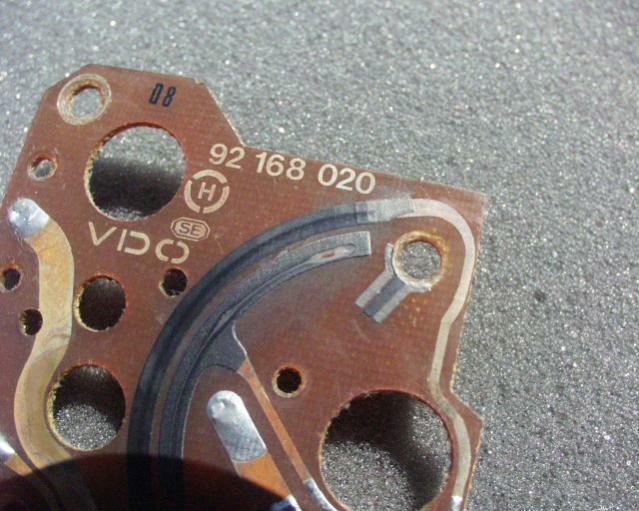 I have pulled my instrument cluster, but I never inspected the "wipe" areas of the circuit board. Possibly the job for next weekend.